The aftermath of the 2008 global financial crisis was in full swing, and the timing and context of the message were impeccable. The U.S. government had just bailed out the financial system, to the tune of $700 billion, after the subprime mortgage crisis caused the housing bubble to collapse, leading to a global recession. While there was a litany of signals and causes for the collapse, including excessive risk-taking and impropriety by banks, the broader theme at work, which similar events and recessions in recent history can largely be attributed to, is the framework that the modern financial system exists in, known as Fractional-Reserve Banking. A system that Bitcoin represents the antithesis of, and offers a unique and paradigm-shifting alternative to. A common theme that consistently emerges when looking at the formation and modern structure of Fractional-Reserve Banking (FRB) is debt. That being said, understanding how FRB came to be is necessary to understand its current structure, and how cryptocurrencies like Bitcoin, are so unprecedented. FRB is the current form of banking in most countries around the world. Despite being around for a relatively long time, the focus of FRB in this piece is precisely on the modern iteration of such a system, where government monetary authorities and federal central banks monitor the financial system and regulate control of the currency supply. Established in 1609, the Bank of Amsterdam was founded and is considered the precursor to modern central banks in existence today. Notably, the Bank of Amsterdam played a vital role in the early emergence of paper money, which took the form of a bank receipt issued by the bank for gold, silver, and other valuables that were deposited to the bank. At the time, the primary source of value was gold and silver; however, it was increasingly difficult to exchange through trade as they are cumbersome, especially over longer distances. The banknotes became a standard medium of exchange between people as they represented a deposit with a goldsmith or bank. Something interesting soon followed, goldsmiths and banks realized that they could issue more deposit receipts (banknotes) than what they actually had stored in their reserves. They also realized that people just did not redeem their receipts for deposit all at once, but rather at various times, more on this later. Eventually, rather than providing a safe-haven for valuables, goldsmiths became businesses that were interest-paying and interest-earning. Thus, FRB came into existence. A critical question that you may have immediately, and still has resounding consequences today, is what happens if a bank does not have the necessary reserves to pay back the owners of deposit slips (banknotes)? The bank becomes insolvent in such a case and goes bankrupt, causing creditors to lose their funds and severely harming the financial markets. If this sounds familiar, it is because when this happens to several major banks at the same time, in what is known as a bank run, major financial crises ensue, leading to government bailouts, the increased power of central banks, and social fallout. The Great Depression is attributed to bank runs and was so bad that global GDP fell by an estimated 15% at the time. Following the creation of paper money and the Bank of Amsterdam, the Swedish Riksbank was established in 1668 and is credited with being the world’s first central bank. Soon more countries followed suit, setting up central banks with the power to set reserve requirements, issue money, and importantly, to centralize the storage of other commercial banks’ value reserves. The purpose of the latter authority is to mitigate the potential crises caused by bank runs, with the central bank acting as a last resort lender to other banks. Over time, the realization that bank runs are an inherent component of the FRB has led to more centralization and authority of central banks in the global financial system. As a modern example, the US Federal Reserve is the central banking system of the U.S., and its powers have been extended significantly since events such as the Great Depression and more recently, the 2008 global financial crises. The phrase “interest rates” is essential here as it will help us to understand later how money is created and how the concept of debt is central to the FRB system. It is important to note that the Federal Reserve contains components of both a private and public institution. It regulates and oversees private commercial banks and unusually, does not print its own currency. Instead, this is performed by the US Department of Treasury. Despite mainstream familiarity and acknowledgment of the necessity of the Federal Reserve’s role in maintaining a stable economy, that has not always been the case. The First Bank of The United States and The Second Bank of The United States were the two first central banks in the United States, established in 1791 and 1816, respectively. Due to overprinting, the paper issuance of the First Bank, called “Continentals,” devalued so quickly that Congress banned the practice of issuing paper money in a draft of the Constitution in 1787. Congress eventually refused to renew that charter of the First Bank in 1811 and the Second Bank, established in 1816, also failed to receive a charter renewal from the US Congress in 1836, under then-president Andrew Jackson. Jackson was also the only president to pay off the entire U.S. government debt, but despite his efforts, a third central bank, The Federal Reserve was eventually established in 1913. Interestingly, the U.S. experienced what was known as the Free Banking Era from 1837 to 1862, where there was no formal central banking system, and only state-chartered banks existed. 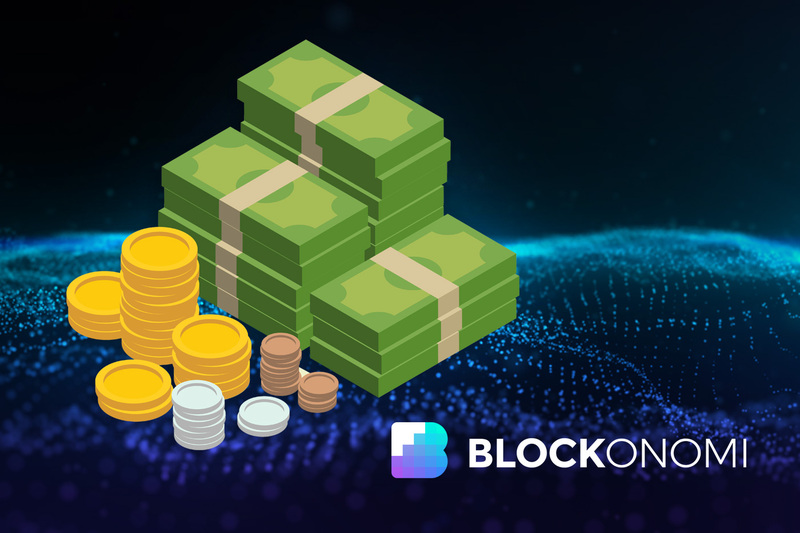 Through the lens of cryptocurrencies and how they represent an alternative to the modern Fractional-Reserve Banking system, it is best to understand the intricacies of the flow of money in the FRB model. Specifically, the creation of money, its propagation into circulation, and the resulting effects. We will use the US Financial System as the example. 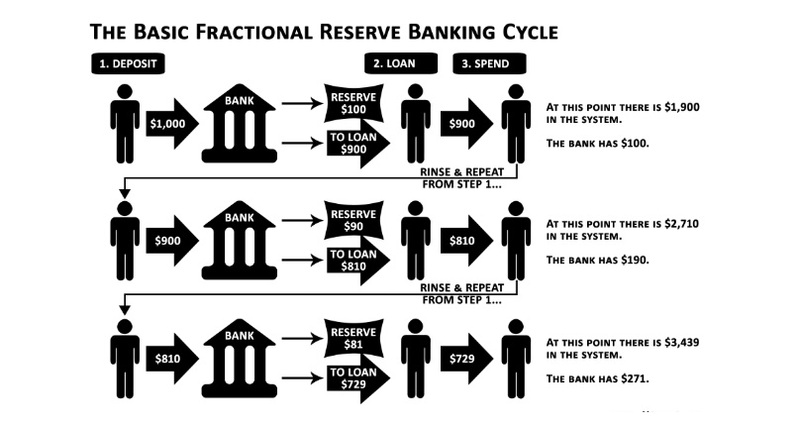 Fractional-Reserve Banking is a system where only a fraction (Fractional of FRB) of bank deposits are actually backed by cash and are actually available for withdrawal. The primary purpose of this is to free up capital that can be loaned to other parties as a way to expand the economy. By law, banks are required to reserve (Reserve of FRB) a predefined amount of cash deposited by depositors on hand, available for withdrawal. Most banks are required to reserve about 10% of withdrawals. So, for a $100 deposit, they are legally required to maintain $10 of the deposit as a reserve. The reserve requirement is set by the Federal Reserve and increasing the requirement removes money from the economy, while decreasing the requirement adds money. It will come as a surprise to many people that when you actually deposit money into a bank account, it ceases to be your property. Rather, it becomes the property of the bank who issues the depositor an asset known as a deposit account. This is a liability on the balance sheet of the bank, and they are legally responsible for paying it to you upon request, as long as they have the requisite funds to cover it (think bank run). Where the system gets interesting is with what is known as the Multiplier Effect. Primarily, the flow of money proceeds as follows. Alice goes to a major commercial bank (JP Morgan, Wells Fargo, etc.) and deposits $1 billion into her bank account. The bank is legally required to reserve ~ 10% of her deposit, so they reserve $100 million as cash on hand, available for withdrawals. The bank now has $900 million to issue out in loans. Bob goes to the same bank and wants to take out a loan for $900 million. The bank agrees and gives Bob $900 million. Each bank is legally authorized to issue credit up to a specified multiple of its reserves (typically 9 – 10 times larger). ***Due to this, reserves available to satisfy payments of deposit liabilities are less than the total amount which the bank is obligated to pay in satisfaction of demand deposits. So, the money that Bob’s receives is actually an additional $900 million on top of the original $1 billion deposit by Alice. Bob takes his $900 million to another bank and deposits. The total amount of money from Alice’s $1 billion is now $1.9 billion. The process repeats for each deposit and issuance of credit and is known as the Multiplier Effect. Now, the overall FRB system is much more nuanced and complex than the example above, but this is the core of it, and some larger perspectives need to be analyzed. Most obviously, the question is, how is an additional $900 million created? Simply put, debt. Since the financial world, today exists almost entirely through digital mediums, Alice is not actually handing the bank $1 billion in cash, and the bank is not actually counting the money on a handwritten ledger; instead, it is stored on a centralized, digital ledger of the bank. The bank issues Bob a $900 million credit, digitally. So, while the original bank is liable for Alice’s $1 billion, the second bank where Bob deposited his $900 million is liable for that money. Yes, the money was created out of nothing. This is what drives inflation, interest rates, and devaluation of currencies, but more on that in a little. The process of credit issuance and deposits can repeat over and over again, originating from Alice’s initial $1 billion deposit. This is the multiplier effect, and a simple estimate for the potential impact of FRB on the money supply (from a deposit instance) is roughly achieved by multiplying the deposit by 10. So, in the case of Alice, her $1 billion deposit can potentially create ~ $10 billion of new USD into the financial system. Again, this is not always the case, and there is much more nuance to it, but still, that is the general concept. Over the long-term, the collateral effects of FRB are glaringly obvious. I don’t even need to explain the graphic below or reiterate past catastrophic financial crises for you to realize this. The common perception of FRB is that it ordinarily functions smoothly and that financial meltdowns are “Black Swan” events. Relatively few depositors demand payment at any given time, so bank runs and financial crises are few and far between. From many perspectives, these may seem as inevitable hurdles to maintaining a stable financial system, but these perspectives are inherently flawed because they do not take into account the long-term social and political ramifications of such massive events. I mentioned the term debt several times earlier, and now is an excellent time to bring it back up and really analyze it. The U.S. money supply and overall debt held by the public have been increasing consistently over the last century, and are eerily correlated together in their trend upwards. This is because new money injected into the system of the FRB is many times in the form of debt (deposit/ credit issuance cycle). The inherent cost of this is inflation, the steady devaluation of the U.S. dollar due to an increase in the money supply, not correlated with an increase in goods and services, but rather with debt. 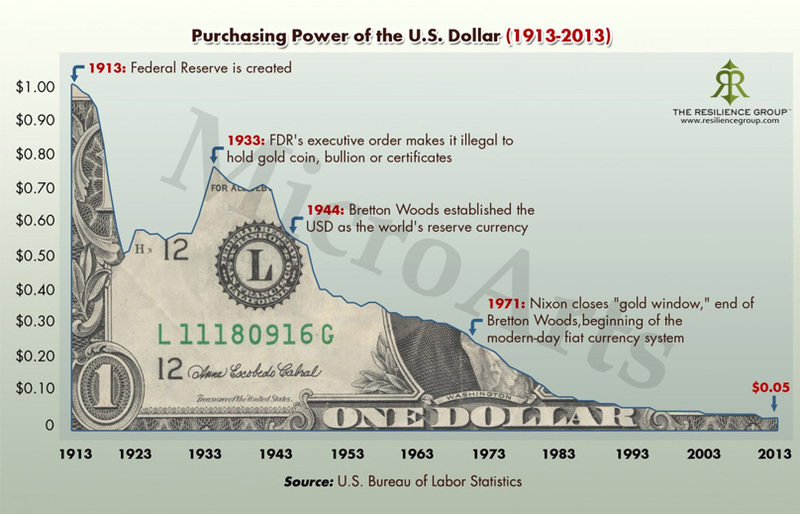 With more money in supply and the inherent value of that money coming from nowhere (debt), the purchasing power of the dollar is diluted, as demonstrated in the graphic above. The current U.S. debt stands at just over $22 trillion. This debt has undoubtedly been used for funding companies, generating innovation, and generally advancing the U.S. economy. It has also led to defaults on loans, wealth inequality, and an increasing misperception of what money and value are. Proponents of the central banking system, and particularly FRB, will defend the format which money is created in by pointing to the economic growth that the system facilitates, and to a certain extent, they are absolutely right. Conversely, critics of the system will simply ask at what cost is this being achieved? These are important questions with immense gravity that are highly relevant to everything from social dynamics to our conception of money itself. Perhaps if the U.S. had not instituted this system in the format that it did, when it did, it would not be the economic superpower that it is today. 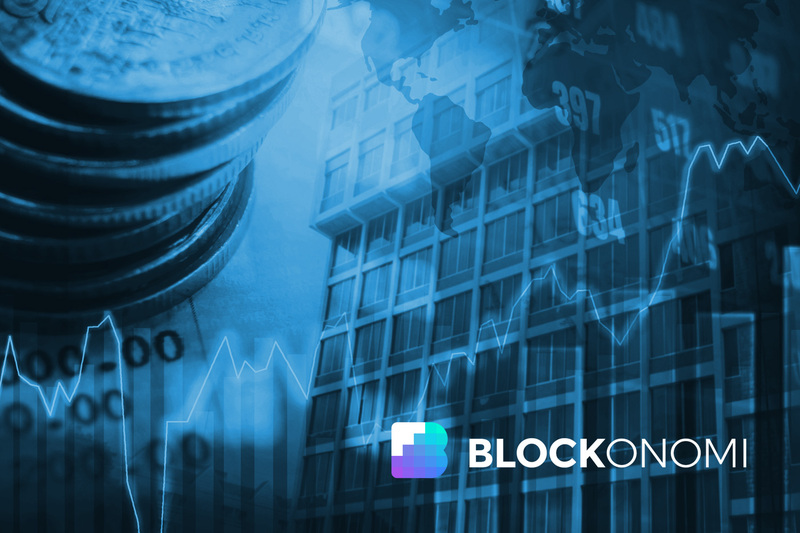 Although the FRB model has definitely been questioned throughout the years, there has not existed a suitable alternative to money (more precisely value) that can be reliably exchanged over digital mediums, without centralized institutions, until now. Bitcoin represents an entirely new paradigm in the financial system. For the first time, people have the option of a viable alternative to FRB and current value exchange models. Bitcoin does not have inflation, and its value is tied directly to its mining process that is derived from electricity and work. The Fractional-Reserve banking system is much more complicated than outlined in this article, but its core functionality remains the same. Eventually, history shows that people start questioning historical dynamics in hopes of finding better models, whether they be political, social, or in this case, financial. Fractional-Reserve Banking has been the model of centralized banking since goldsmiths decided to monetize their bullion reserves, up until the modern day. Whether or not Bitcoin offers a sustainable solution to the problems created by FRB is yet to be seen, but at least it provides a viable alternative for those seeking one, and at the very least, Satoshi deserves a little credit for his timing.